Quality is key and checked constantly. 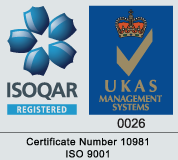 Dean + Tranteris certified and operates and maintains the quality system ISO 9001, which ensures that quality is maintained throughout the supply, administration, production, sales and delivery of our products. Dean + Tranter is committed to the principal of total quality management and maintains a documented quality system in order to achieve a consistently high quality of product and service to our customers. 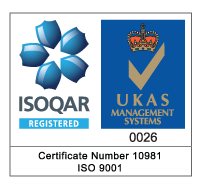 Our quality assurance system, which incorporates environmental management, is reviewed annually in order to maintain the high standards to which all our employees are committed. Our inert natural mineral products are environmentally friendly and recyclable. Dean & Tranter Ltd has been supplying products to customers all over the world for more than 90 years during which time we have worked hard to ensure our production facilities are up to date. We work within the framework of the Ethical Trade Initiative base code, our supply chain is regularly audited and everyone involved shares our commitment to the spirit and principles of the code. Our mills are situated in various parts of the world. They are of modern design and the equipment is of a high specification. Our mills generally own and operate their own mines and quarries, all of which are run to high modern standards, thus eliminating the need to buy in any raw materials from other sources. We are confident that our mica is not only of the highest quality but that we can offer our products safe in the knowledge that they have been produced in a manner which is to the benefit of all concerned. As a key supplier with customers and suppliers worldwide we realise the importance of a responsible business framework which is conducted in a straightforward, open and modern way. We have policies and measures to ensure that our ambitions are met. We monitor our performance regularly though internal and external audits to make sure we are on plan and adhere to CERES principles. For more information, please see our CSR policies below.